Yes, folks, after repeatedly trying (and failing) to save my Caladrina, I gave up. Its four wilting leaves and bending 20cm stalk (thanks, stretching) just couldn't be saved from the big old plant heaven in the sky. So, of course, I then had a free pot. Having just submitted an essay at university, I decided to treat myself to a brand new plant from a gift shop on Bold Street (Liverpool) called Mi Vida. Shout out to this heavenly shop: everything they do is gorgeous! 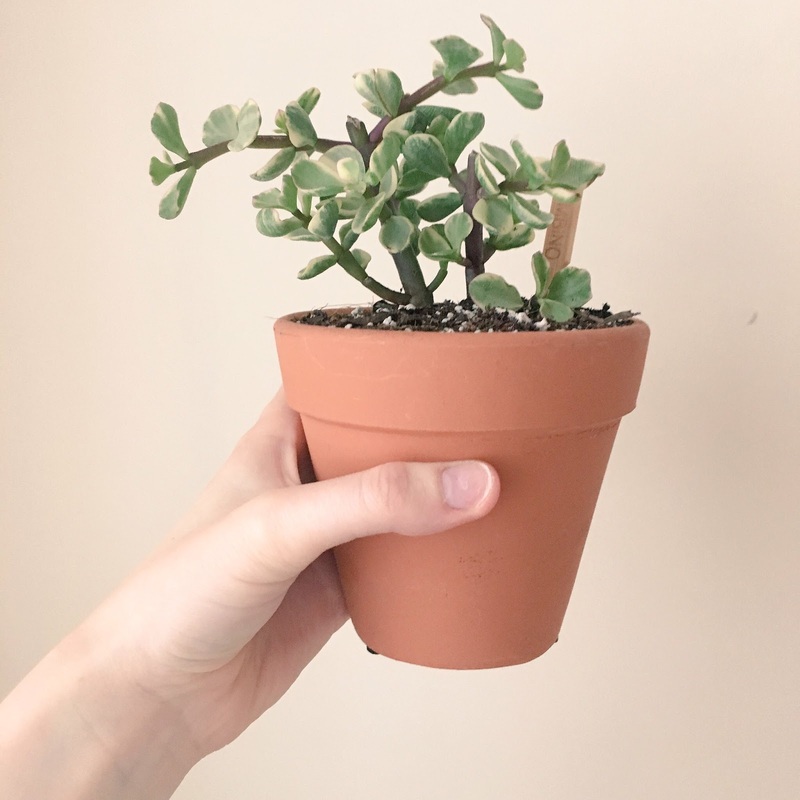 So, drum roll please: Let me introduce you to my brand new baby: Portulacaria Afra or Elephant Bush as it's more commonly known. 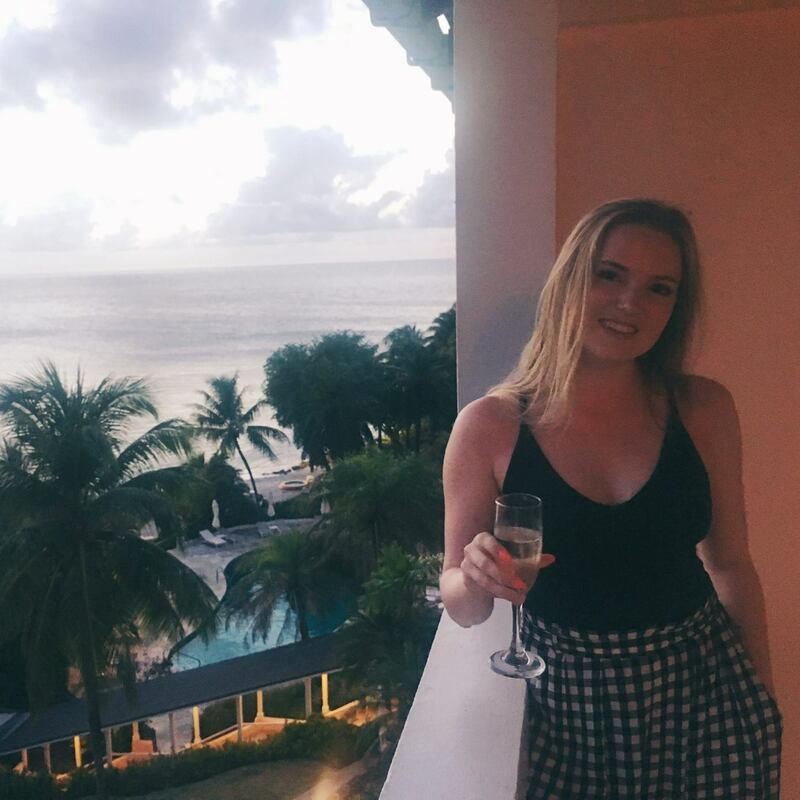 Ta Dah! Beautiful, isn't it? I've done a bit research, and apparently this is a fast growing plant, so I'm excited to see progress pretty soon! I reckon the cuttings from this plant will be a regular occurrence. It's already had a few branches trimmed by a previous owner so it's obviously resilient. It was parched when I bought it, so I gave it a good soak and repotted it in a terracotta pot with cacti soil, plus perlite and gravel. Fingers crossed it likes its new home. The Elephant Bush is regularly grown into a bonsai tree and I've been interested to find out more about this - while I don't think I have the patience to truly commit to making this succulent a tiny tree, I think I'm going to try and prune him into a somewhat tree shape. It's amazing how resilient succulents are and how quickly the replace what's lost of their foliage - that's part of the reason I'm so in awe with them, and other plants. 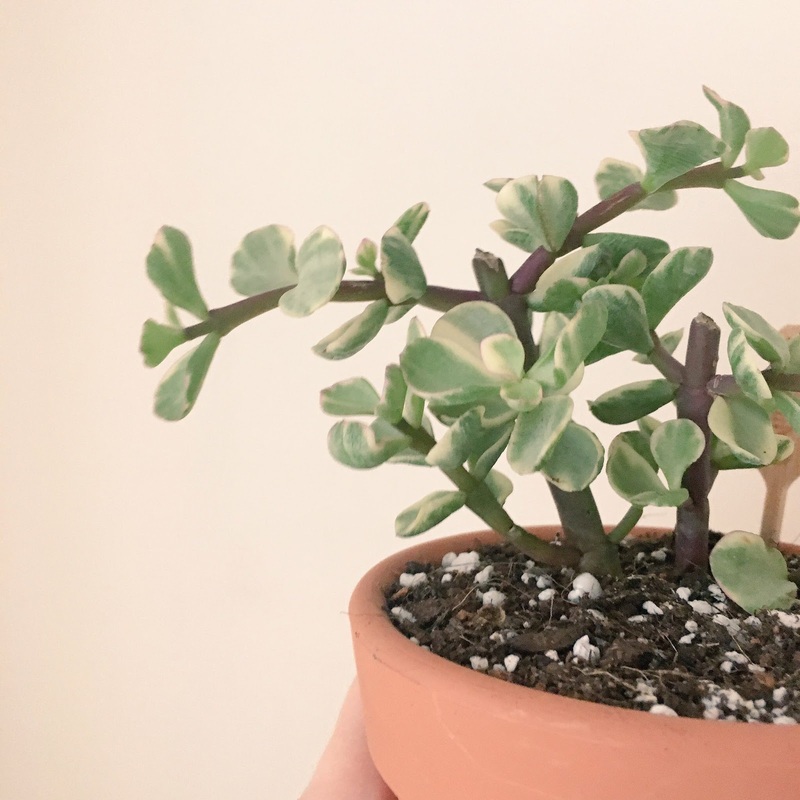 Is anyone else the proud owner of an Elephant Bush? 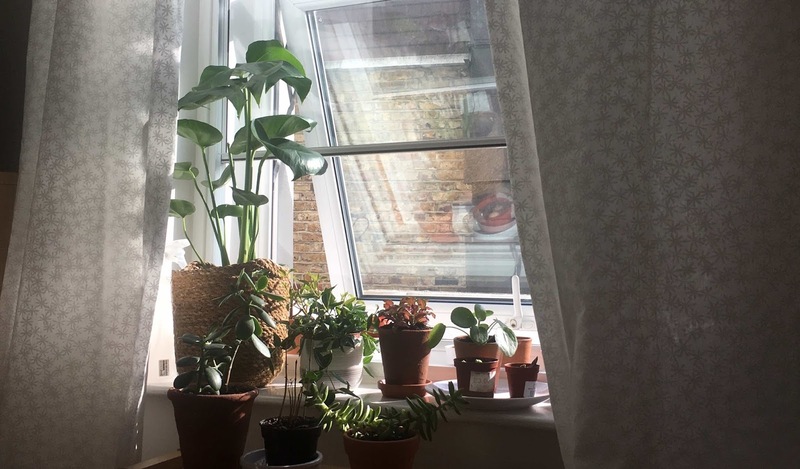 What are your tips for looking after them?